﻿ Services | RB Allen Co. Inc.RB Allen Co. Inc.
Our success is built on a commitment to provide the best in quality fire alarms, tailored to each client's needs. We specialize in bringing you a wide variety of fire alarms and services at a reasonable cost. In search of a new alarm system for your building? The R. B. Allen Company will work with you through every aspect of the design, submittal, and approval process of your fire alarm system. 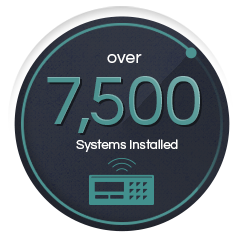 We can then complete the installation of your system and provide the ongoing monitoring, maintenance, and inspection of your fire alarm system for the life of your business. R.B. Allen provides 24/7/365 support for all of our customers. In an emergency, our contracted customers can contact our call center and be connected with an on-call technician. R.B. Allen technicians have decades of experience in preventative maintenance of fire alarm systems. All technicians are licensed and factory certified. Together we can ensure that you avoid many of the pitfalls that can interrupt business. Contact us to get your project started. Whether your fire alarm and life safety system needs are simple or complex, R. B. Allen Company can provide solutions that deliver safety and peace of mind. RB Allen, LLC © 2019. For our public customers; significant benefits can be realized by buying off the statewide contract known as COMM-PASS. COMM-PASS is the only official procurement record system for the Commonwealth of Massachusetts. Benefits include time savings as well as quality products at competitive prices. The State has already done the vendor screening and offers their program to all qualified public entities. The R.B. Allen Co., Inc. is proud to be included in several State contracts, one of which may be right for you. If you would like additional information on this program please contact us.